In a similar case from Texas, prisoner Robert Pruett was executed on October 12, 2017 for the murder of prison guard, Daniel Nagle. No physical evidence tied Pruett to the murder and, according to Pruett’s clemency petition, Officer Nagle had been working as a whistleblower to identify corrupt correctional officers who had been helping prison gangs launder drug money. Nagle's name was discovered on a note from an inmate saying that a prison gang wanted him dead. DNA on the murder weapon did not match either Pruett or Nagle, and Pruett had argued that DNA belonged to the actual killer. 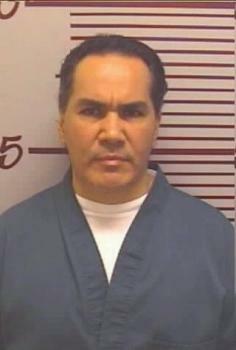 (Michael Roberts, Attorney: David Bueno Case Shows Why Colorado Should Abolish Death Penalty, Westword, January 25, 2018; Kirk Mitchell, Conviction thrown out in prison murder case, Colorado Supreme Court rules, Denver Post, January 22, 2018; Michael Roberts, David Bueno murder conviction vacated: Carol Chambers's office hid evidence, says David Lane, October 13, 2010.) Read the opinion in People v. Bueno here. See Prosecutorial Misconduct and Innocence.